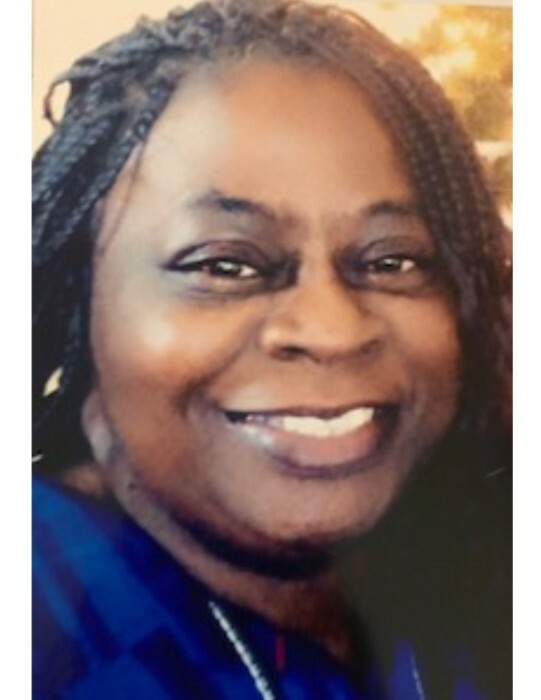 A homegoing memorial celebration for Mrs. Lisa Yvette Robinson of Tampa, Florida who passed away on Wednesday, January 30, 2019 will be held Saturday, February 9th, 11:00 a.m. at St. John Progressive M.B. Church, 2504 E. Chipco St., Rev. Dr. Bartholomew Banks, Sr., pastor officiating. Lisa Yvette Robinson was born, November 23, 1962 in Tampa, Florida to the late Samuel Lee and Annie Mae Davis. She attended and graduated from Hillsborough County Public School System. She loved spending time with her family, decorating, laughing and hosting gatherings. She spent her life building bridges and encouraging others to love one another (Taurice Staley). Lisa was a true woman of God. She was preceded in death by her parents, 1 sister, Ruby Ann Staley; 3 brothers, Reuben Rush, Craig Leevoyd Smith and John L. Small; 3 nephews, Tarence Staley, Curtis Rush and Elijah Johnson. She leaves to cherish her precious memories with her 1 son, James Keaton, Jr. (Kendra) and 1 daughter, Latoya Davis (Renardo “Tron” Comer); 6 granddaughters, JanTasha Keaton, Darielle Jackson, Sa’Mira Rolle, Renyla Comer, Jaliyah Keaton and Shamyah Comer; 3 grandsons, James Keaton III, Jaylen Keaton and Ryland Comer; 3 sisters, Sheila Allen (Jerry), Vonna Jelks (Eugene) and Daisy M. Davis; 3 brothers, Lee J. Smith, Wendell (#7) Davis; a host of nieces, nephews and other relatives that will miss her dearly. The family and friends are asked to meet at the church on Saturday for the memorial service.